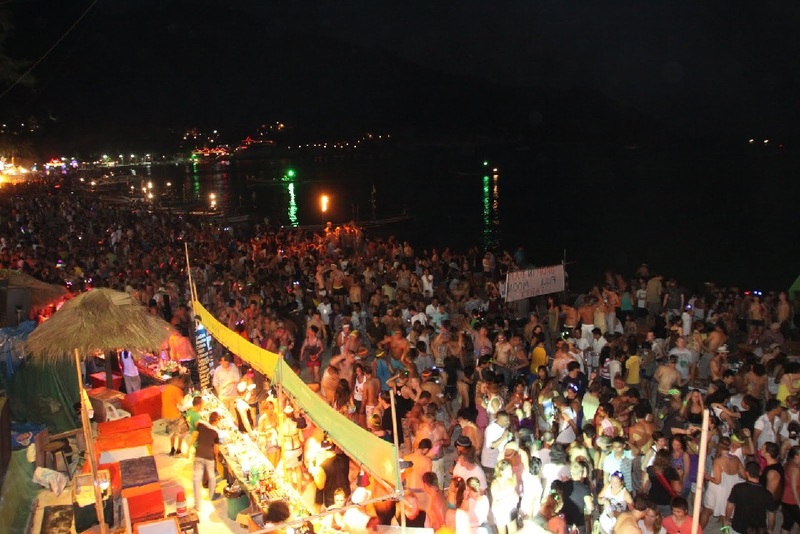 Now is a terrific time to book a trip to gay Thailand … with Thailand travel expert David Rubin. You can make your own arrangements easily enough but you may be surprised at the amazing opportunities you may miss out on. And who wouldn’t want their travel dollar to go further? The best Thailand travel booking agents will find you great deals and also get you perks, upgrades and amenities that you thought would be reserved for the 1%. ManAboutWorld published this ‘points whisperer’-style piece recently packed with tips for how to use your frequent flyer miles (on Delta, American, United and other airlines as well as via Starwood, American Express and other loyalty affiliations) to fly in unbelievable comfort (think apartments and suites in the air! 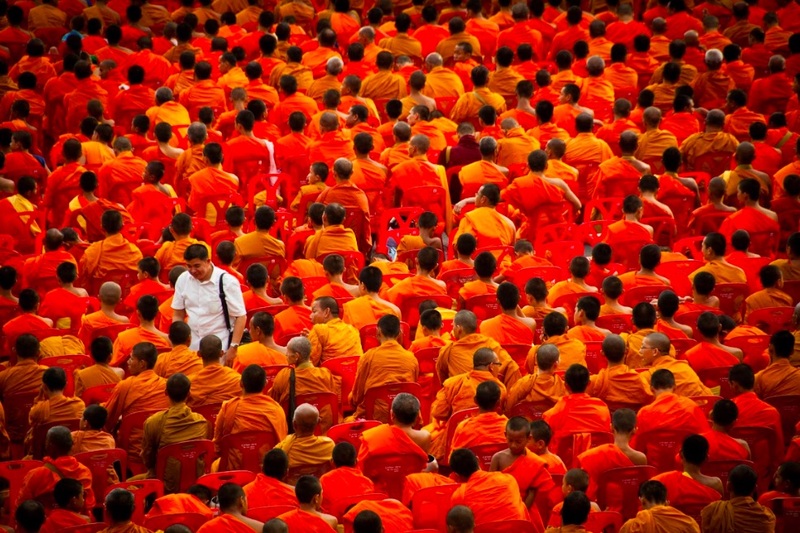 ), Start planning your (nearly) free getaway to Thailand. 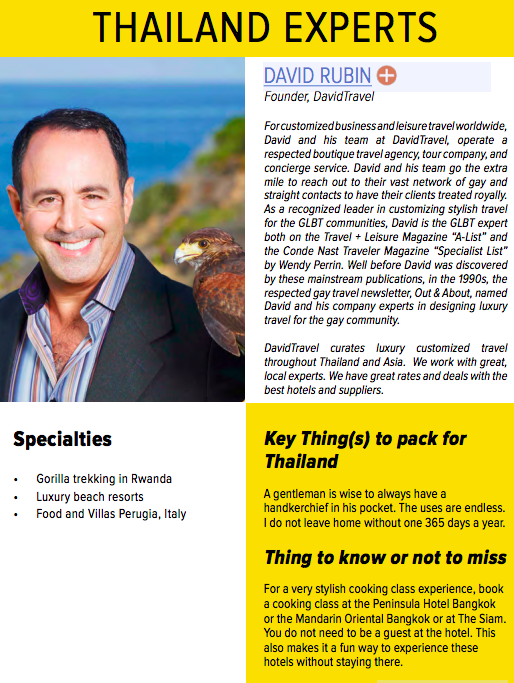 David, pictured above, founded and runs DavidTravel customized travel. ManAboutWorld published a free guide to Thailand available via their app (on App Store or in Google Play) or via this PDF. This is a great time to book a trip to gay Thailand. You can make your own arrangements easily enough but you’d be surprised at how many opportunities you may miss out on. And who doesn’t want their travel dollar to go further? The best Thailand travel booking agents will find you great deals and also get you perks and upgrades. Paul, pictured above, founded and runs Insider Voyagers, a gay-owned travel agency. We love Thailand. And with it near or at the top of the world’s most visited destinations, we’re not alone. But for gays Thailand has long held a special place, with its sincere welcome and enormous tolerance for all — regardless of sexual orientation or gender expression. ManAboutWorld’s new guide to Thailand—available for free in the ManAboutWorld app on the App Store, in Google Play and as a PDF — is an expert-sourced, exhaustive look into the Land of Smiles – from the cities, to the rural northern countryside, to the stunning southern beaches. It delves into every facet of traveling, from suggested itineraries, transportation advice, where to eat and sleep, and even how to get laid. Here’s a little taste of what you can expect. To read the full guide download the app or the PDF. And yes there’s more! Here’s a list of the world’s leading gay Thailand experts who can help you book the perfect vacation. Check out handsome gay entertainer Tom Goss’s recent video from Bangkok, Thailand. Thailand gay scene is known throughout the world, a welcoming, often naughty network that thrives in its major cities and beach communities. In Bangkok, Silom is the ‘hood you want , with the two main party streets, Soi 2 with its discos and clubs and Soi 4 with its bars and restaurants, Silom is considered the main gay area of Bangkok. For most visitors Thai luxury is a bargain. Most luxury hotels, restaurants and experiences cost 30-60% less here than they do in other popular tourist destinations. While many of these experiences are still a relative splurge for most travelers, your splurge dollars go much farther here. Bangkok’s hotels are legendary, with many appearing on lists of the world’s best year after year. At every price point, you can expect superior service and genuine hospitality. In the luxury strata, expect to be wowed. You’ll find all of the international brands, styles ranging from traditional Thai to cutting-edge modern, and good options all over the city. Getting to know Thailand can be tricky, and you’ll need an expert who’s been to help you figure out when to go, why to go, which beaches to visit when, when to strip down for a gay circuit party, and when to skip it. The country has events and festivals throughout the year (Songkran and G Circuit are two favorites) and some of the world’s most beautiful beaches, if you go at the right time. We also feature an in-depth transportation advice, how to use airline points, plus our expert approved apps and online resources to help you navigate the country. 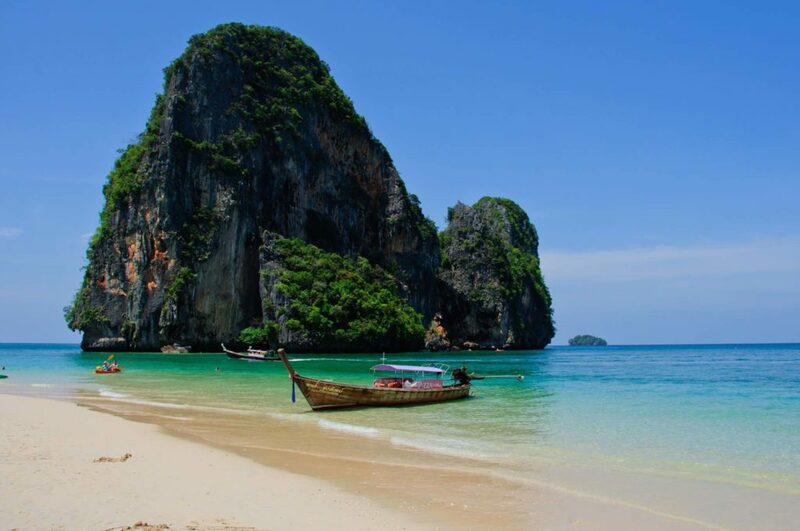 Thailand’s beaches are located on two primary bodies of water: the Andaman Sea to the west of Thailand and the Gulf of Thailand to the east. Choosing between them is mostly a question of when the rains fall — for the best weather, avoid the Gulf of Thailand resorts like Koh Samui from September through December, and avoid Andaman Sea resorts like Phuket and Krabi from April through October. If you do travel in the rainy season, expect deep discounts and typical tropical rain patterns: hard rain for an hour or two, followed by sun. For diving and snorkeling, it’s a little more disruptive — the rain and runoff often create longer-lasting suboptimal conditions. Download ManAboutWorld to get the FREE Thailand guide: Download our very cool digital gay travel magazine for destinations around the globe. Find the ManAboutWorldApp on the iTunes App Store or Google Play. We support iPads, Android tablets, iPhones and Android phones. There are a few free publications in all of the apps, and you can click here to register for a FREE three-month subscription. Go on, what are you waiting for! Our newly-updated Thailand guide (FREE in the ManAboutWorld app) debuted today, with even more information and inspiration for this magical Kingdom provided by our Thailand gay travel experts. Thailand is a favorite destination for gay travelers, a place of spectacular beaches and temples, delicious food, and friendly people. A place where service levels are high, prices are low, and instagrammable moments never end. Check out our correspondent’s recent video from Thailand here. 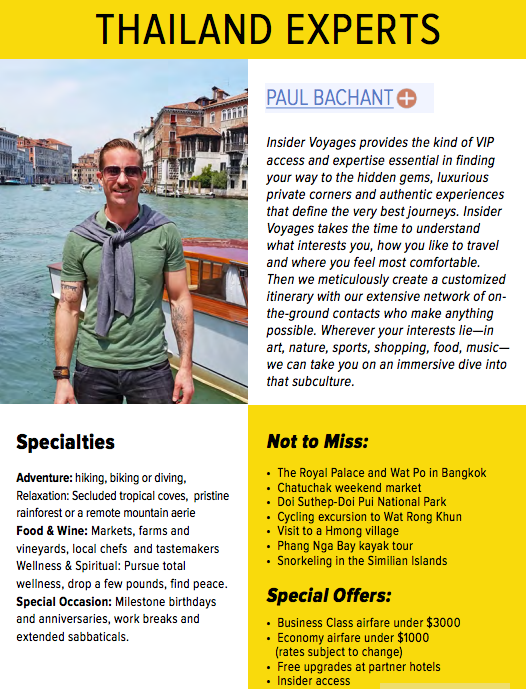 To celebrate the launch of the guide, we’ve gathered special offers from Thailand gay travel experts their whose insider tips helped create the guide. Download the guide today in the ManAboutWorld App, available free in the App Store and Google Play. beyond. It’s a long trip, and you’ll love making it in the front of the plane at an incredible price. They also offer hotel upgrades, resort credit, flexible check-in/check-out times and VIP treatment through the Virtuoso Luxury Hotel program. Adventures will offer a $125 USD per person airfare credit towards an Economy Class ticket OR $250 USD per person airfare credit towards a Business Class ticket. This offer cannot be combined with any other offers (with the exception of the giveaway below), and applies to new bookings only. 3. Classic Travel offers Luxury Thailand Honeymoon at three of Thailand’s top hotels: The Siam Bangkok, the Four Seasons Chiang Mai, and the Amanpuri in Phuket. The itinerary includes exclusive benefits at each hotel, including room upgrades, daily breakfast, complimentary spa and dining credits. A customized tour plan for each destination is included. as room upgrades, breakfast, spa and dining credits, and WiFi. They also have a suggested 8-day LGBT itinerary that can be customized according to your individual preferences. The Siam Bangkok: The Siam is an all-suite property featuring 39 of the capital’s most spacious suites, all outfitted with plush furnishings, super-sized king beds and lofty ceilings. 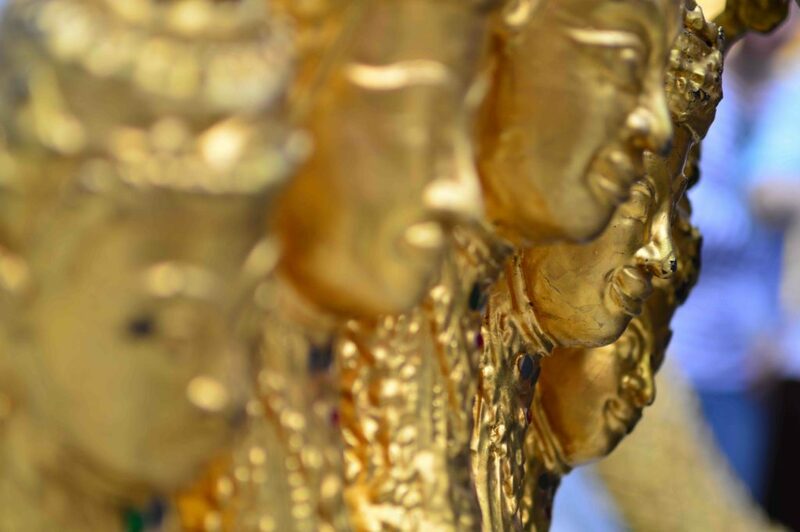 Each suite or villa has been individually designed with original turn of the century oriental artwork and antiques. In addition, to make your stay as relaxing and carefree as possible, each room is catered for by a personal butler. The property’s 39 rooms are set on 3 acres of prime, river frontage, in the heart of the city’s historic palace district. Riverview, pool villas (1,300 sq ft) are perfect for a splurge. 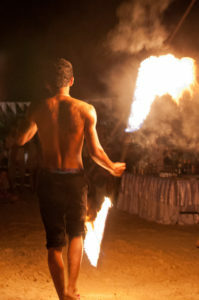 The property boasts the world’s first luxury Muay Thai boxing studio and the stunning Opium Spa. Travelin’ Tom takes us to exotic, thrilling Bangkok in gay Thailand. He packs in a whole lot of information in a short video including magical spots like the Grand Palace and Emerald Buddha; delicious street food; buzzing shopping stands; fragrant flower markets, and much more. Tom Goss is a ManAboutWorld global correspondent and a talented singer. Click on his video and follow his Bangkok adventure. UPDATE: We *just* launched our brand new and FREE guide to gay Thailand! Download the ManAboutWorld app now on the App Store in Google Play and find the new guide in the library. Or click here for a 3-month free trial subscription offer. For more of Travelin’ Tom videos, click here. Be sure to subscribe to his YouTube channel. ManAboutWorld has a FREE guide to gay Thailand, including Bangkok but also the islands & beaches, Chiang Mai, Chiang Rai and more. Download the app (see below) and you’ll find the free guide. Download our very cool digital gay travel magazine for destinations around the globe. Find the ManAboutWorldApp on the iTunes App Store or Google Play. We support iPads, Android tablets, iPhones and Android phones. There are a few free publications in all of the apps, and you can click here to register for a FREE three-month subscription. Go on, what are you waiting for!